The next step for environmental justice. I love eating fresh veggies and fruits when I know where they grew and who grew them. There is a large assortment of photos of me at various ages crouched in a strawberry field with my hands and face stained red. I’ve got some tomatoes and peppers and herbs going in the backyard here. So it might be disconcerting to hear I’ve felt a lot of resentment for the local food movement. As the “eat local” push was gaining momentum the enormity of climate change was consuming me. The local food movement I experienced up to this summer was mostly white, relatively privileged and, as I perceived it, somewhat self-indulgent. Modern agriculture isn’t the only root of climate change, so why pour all your effort into an alternative only a few people can afford? I got off the phone last night with Annie Young, an Environmental Justice (EJ) organizer for the Harrison Neighborhood Association (HNA). I had written the start of this post and then taken a break for dinner when she called. While my opinions on local food have evolved significantly in my weeks here, that conversation with Annie put the last nail in the coffin of my previous views. If you’re unfamiliar with the term, Annie summed up EJ as the “crap that happens to communities of color.” Despite what the big enviro non-profits will tell you, EJ has been around for 20 years. It’s mostly been about fighting toxins and other threats to public health. But what’s so exciting and powerful about the urban agriculture we’re working on is it’s taking EJ to the next level. Instead of focusing on cleaning up contamination, EJ is starting to look at land use in a new way. ** Instead of tax dollars maintaining vacant city lots, EJ is advocating for gardens to feed people down the street. Achieving food security will be a new revolution, one that moves EJ from prevention and mitigation to solutions. 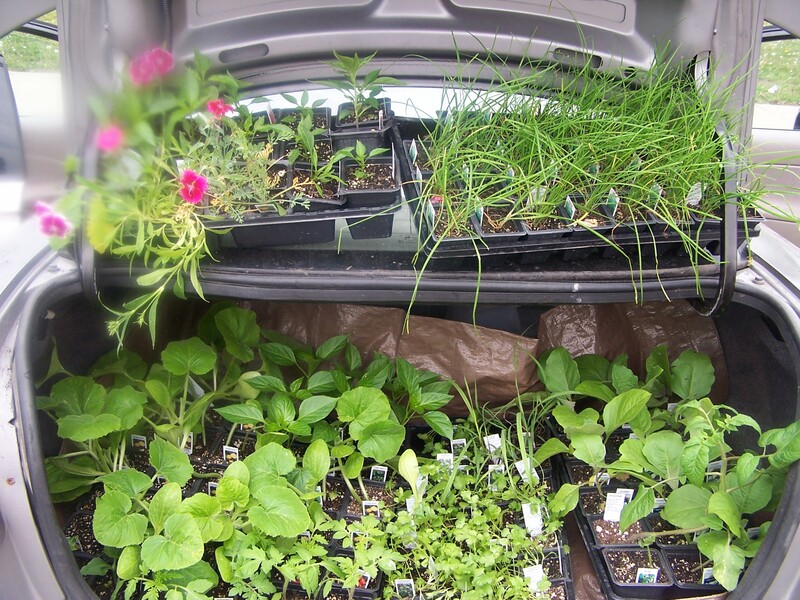 Plants ready to go into the Harrison gardens. For a lot of people, food is about more than trying new recipes and finding the best grocery store. For people in Harrison, grocery stores aren’t always an option. Growing food close to home isn’t a trend, it’s a way to reclaim your health and your community. It’s a way to keep money and jobs at home. All of a sudden it’s a whole lot more than I thought. So on a rainy rainy rainy Friday night I heard Annie out. She told us we were making a world of difference, even for people just walking past the gardens. She invited our group to come in for a discussion of EJ sometime. But she wanted to make sure it wouldn’t interfere with us working, because that’s what’s getting her so excited. *I must note the exception of the winter months of the Local Food Initiative at Hampshire- by the thawing month of March, root vegetables feel anything but indulgent. 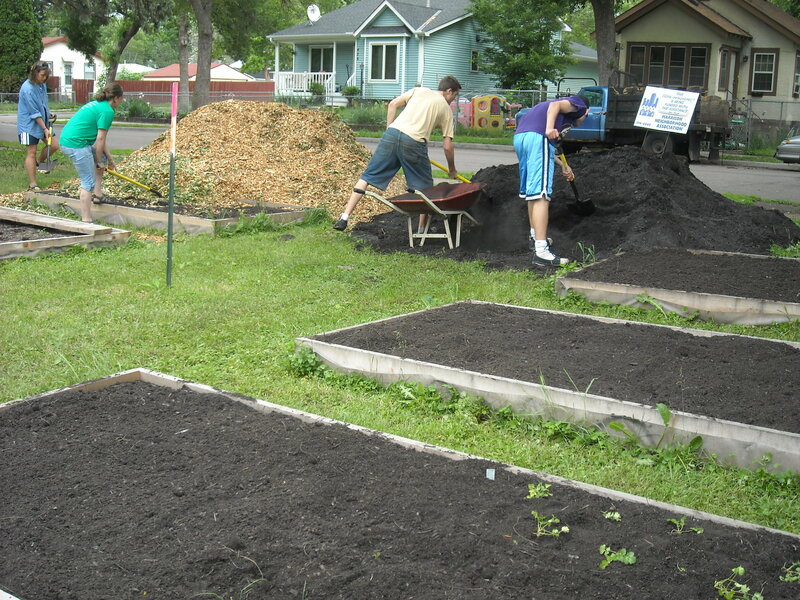 **Something that happens in neighborhoods (often of color) when chemicals and toxins poison the soil. Alternate definition:why I can’t plant straight in the yard here and have to use containers.